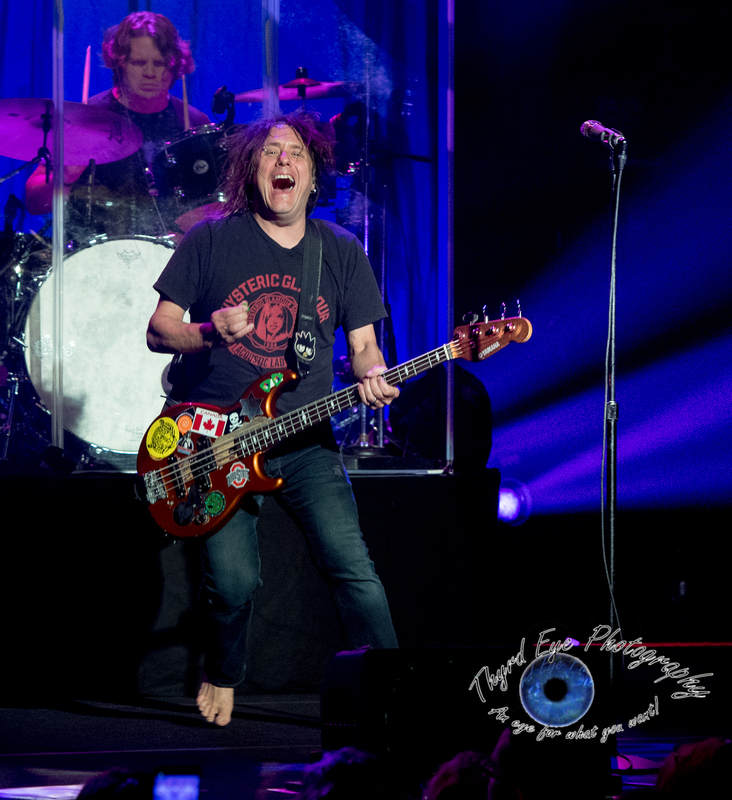 The Pageant lit up on Friday, October 5th when it hosted the Goo Goo Dolls on the fourth stop of their “Dizzy Up the Girl” Fall tour. The show was sold out and the house was packed with ready concert-goers anticipating the night ahead. 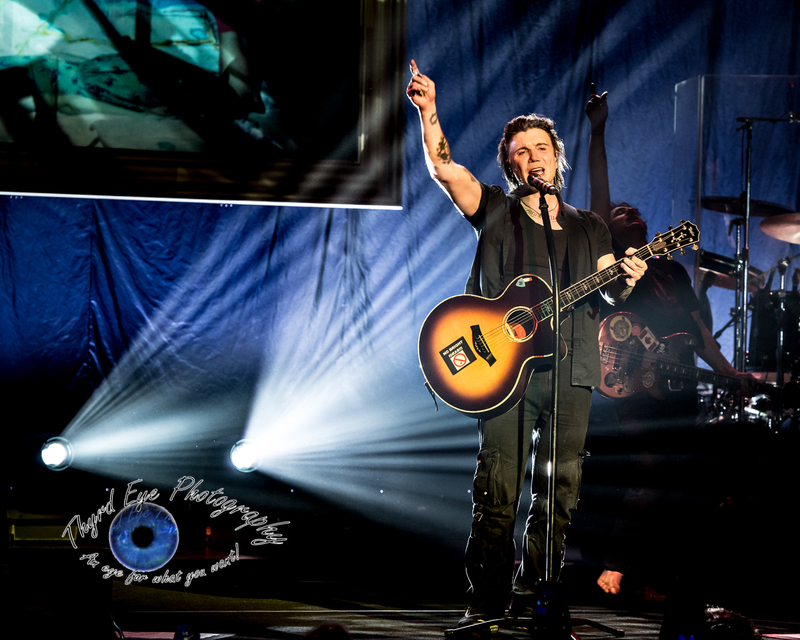 True to the hype, the Goo Goo Dolls did not disappoint and spent a magical evening performing to their fullest and taking fans back in time to 1998. 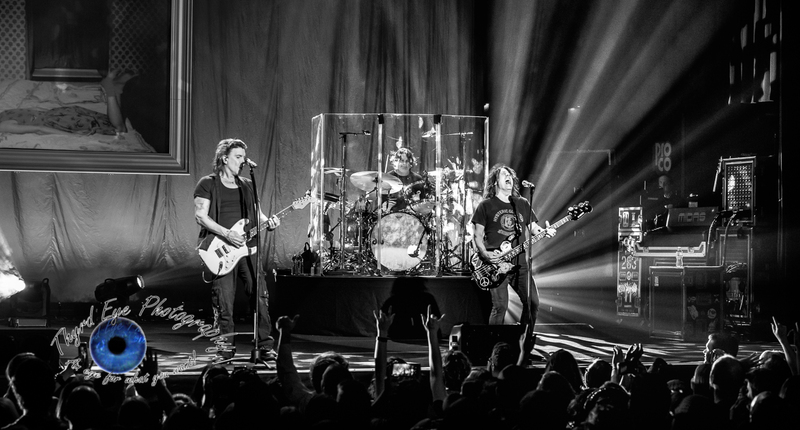 If you’re a die-hard Goo Goo Dolls fan (or even just a lover of their most famous songs), it’s easy to see the importance of this tour and its celebration of the album that put them on the map, Dizzy Up the Girl. Fans were promised the album in its entirety for the first part of the night, followed by other hits of the band and some special “surprises” meant to keep fans entertained. Goo Goo Dolls needn’t have worried, because fans were loving every minute of the night and would have cheered on anything thrown their way. The night was full of energy as fans danced and sang along to each song of the band’s performance. Although the concert initially got off to a late start, they more than made up for it by keeping the hits coming and setting a good pace for the show. One of the “surprises” of the night was in the second part of the evening, after the entire “Dizzy” album had been played. Without giving too much away, I can say that lead singer Johnny Rzeznik showed the crowd his comedic chops in a way that was a bit bizarre, but genuinely entertaining. 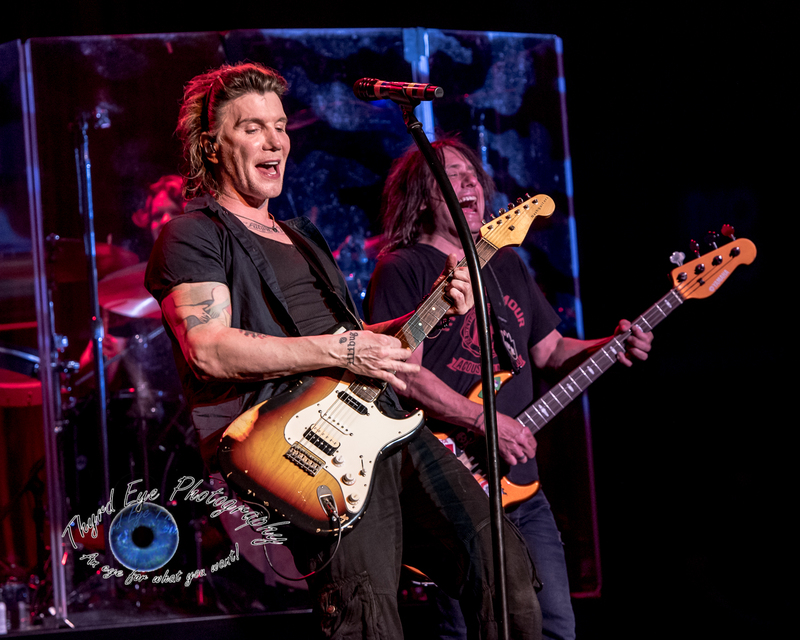 I don’t think Rzeznik needed the surprise to keep fans engaged, but he put on one heck of a “solo” performance and the crowd ended up loving it. 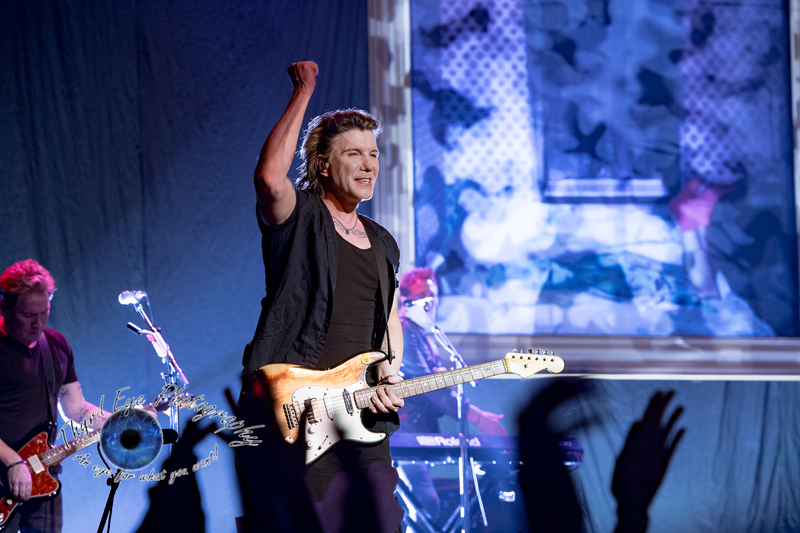 Rzeznik and Robby Takec, both founding members of the Goo Goo Dolls, sounded great and kept up their stamina throughout the performance. In between songs each man took time here and there to speak to the audience and engage with them in a more personal way. “I love this city,” were words uttered by Rzeznik during one such break. He recalled playing under the Gateway Arch for a previous show years ago, thinking back on some of the coolest moments while touring. Moments like this went far to show just how much the band connects with a city like St. Louis, especially with loyal fans of the band. Another unique and touching moment came when Rzeznik held up a sign given to him by a fan who had just beaten cancer, prompting the group to dedicate the next song “So Alive” to that person. 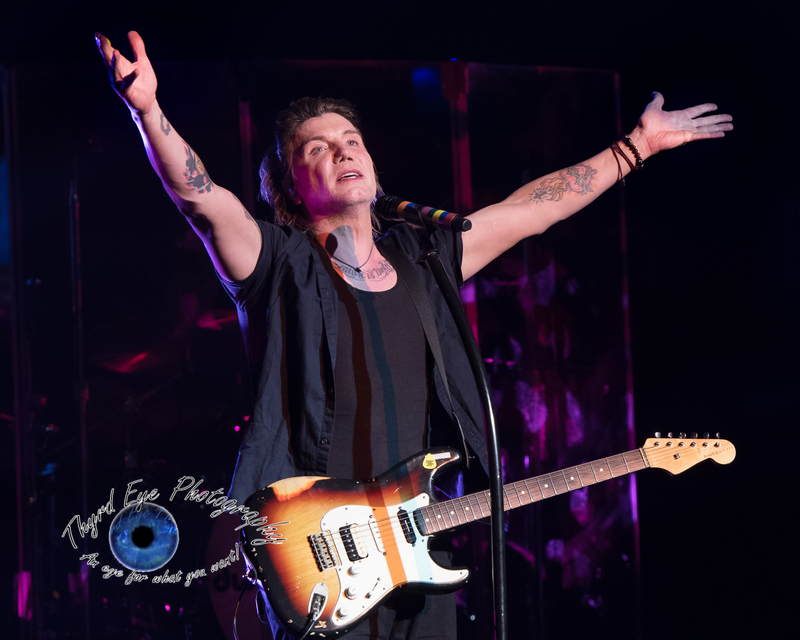 Although the song might not have been familiar to those who didn’t keep up with the band’s 2016 album, Boxes, the gesture and its heartfelt tribute touched the whole crowd. 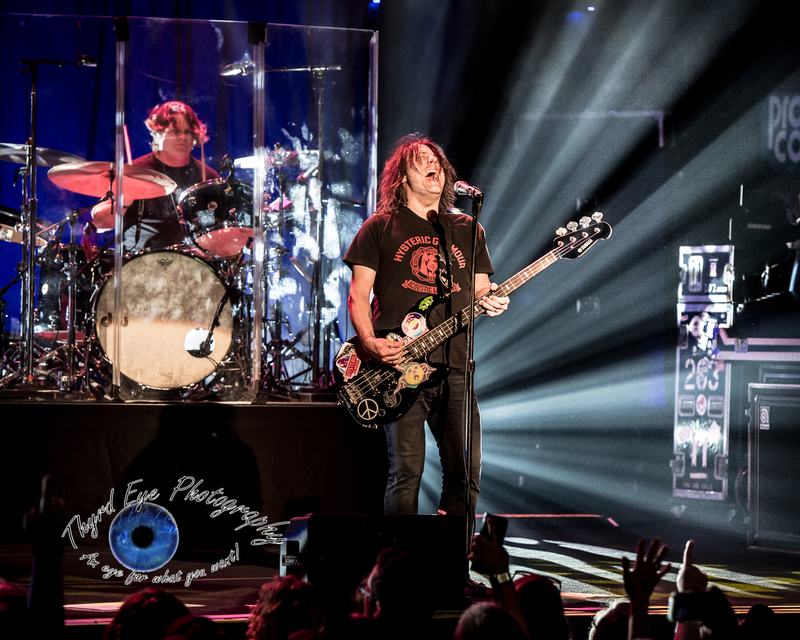 There was something magical about watching the Goo Goo Dolls perform and singing along to the songs, especially the major hits like “Iris” and “Better Days.” It went beyond just the love for the music and the enjoyment of listening to a group that sounds great live and seems to appreciate their fans. I felt transported to a time and place that was warmer, cozier, and not so divisive or disturbing. It doesn’t get better than that. Don’t forget the photo gallery after the set list.